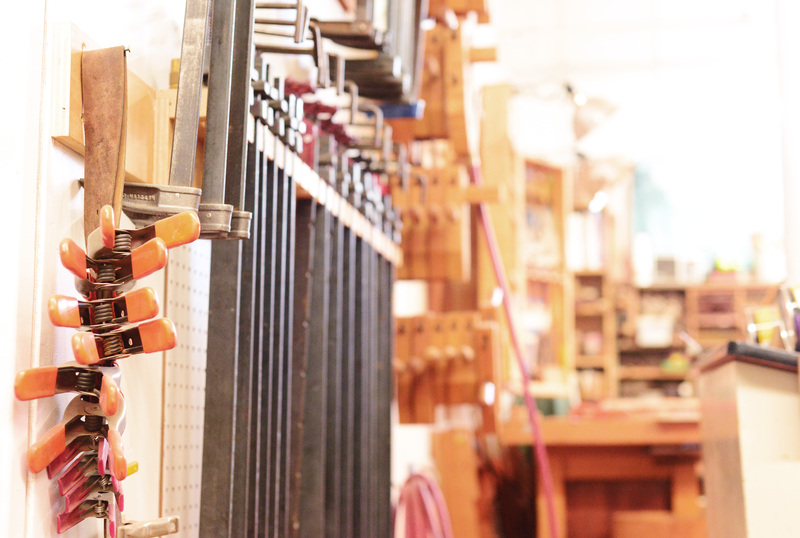 This week I am excited to share a little peek inside the wonderful woodworking world of an incredible furniture maker at Joy Street Studios. 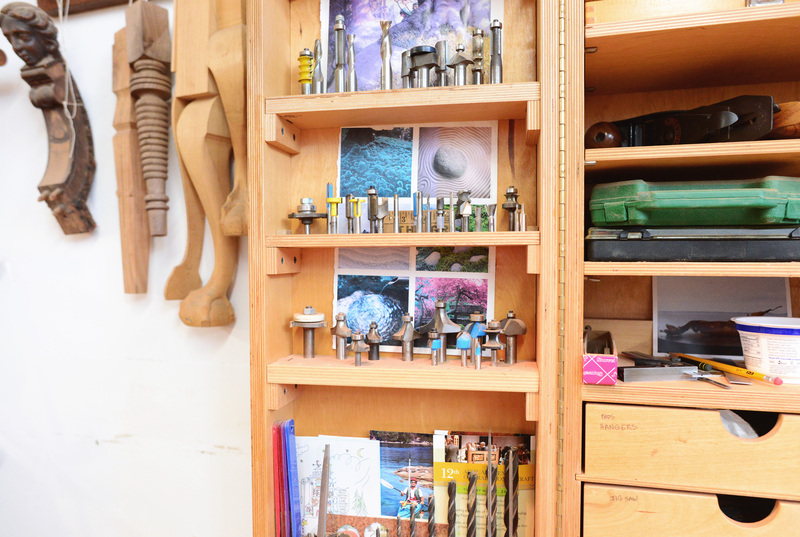 She has such patience and care in her craft and it is immensely clear to see the obvious quality and high-end design detail if you take even a few steps into her studio space. This is a peek into Paula Garbarino’s studio work and process. I make furniture on commission and on speculation for exhibiting. 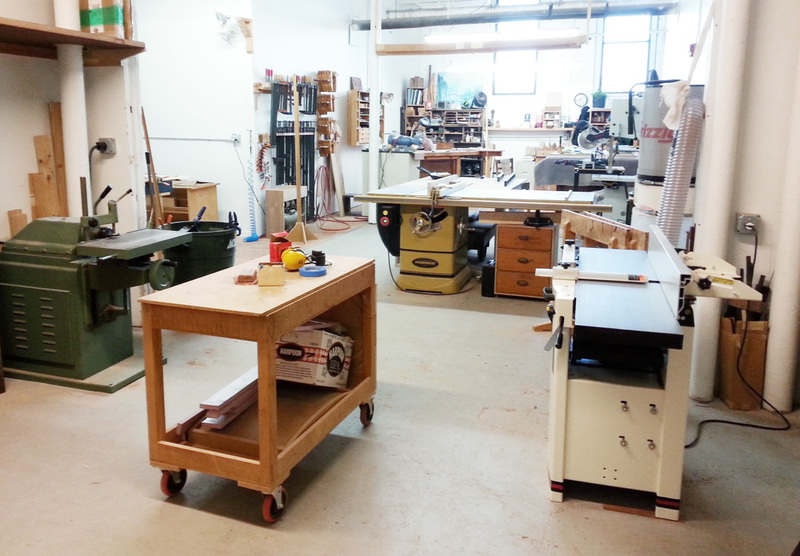 After graduating from North Bennet St. School in furniture making in 1988, I joined a cooperative woodshop and started my business. All my life I’ve loved making things: miniature furniture out of toothpicks as a child and later: clothing, pottery, beadwork, weaving, macrame, creating books, stain glass work. My mother and my sisters all went for the fine arts. I liked arts that were put to use. When I discovered wood that became my labor of love. I was a carpenter/cabinet maker. Before that, a feminist health activist. Before that, organic food distributor, oriental carpet restorer, clerical worker. Maintaining belief in myself is always the biggest challenge. Self confidence is necessary from day to day, year to year, start to finish and it’s always a bumpy road. That keeps changing. Last year it was sculpting faces. This year it has been taking responsibility for machine upkeep. I bow down to the magnificent work of Judy McKie for sculpture and design, Silas Kopf for marquetry, and Kristina Madsen for textural carving. Let me add, I am forever in awe of the ongoing excellence of my alma mater, North Bennet St. School. It’s helpful having commission work alternating with less demanding periods when I can let an inspirational moment bubble up begging to be actualized (if I’m lucky). Also, I keep time sheets, the internalized boss who penalizes me for goofing off. You are welcome to stop by and say hello. And maybe I can cut a board for you. Find more of Paula’s work on her website here, check out her listings via CustomMade, or come by and visit her at our November Open Studios and say, Hello! 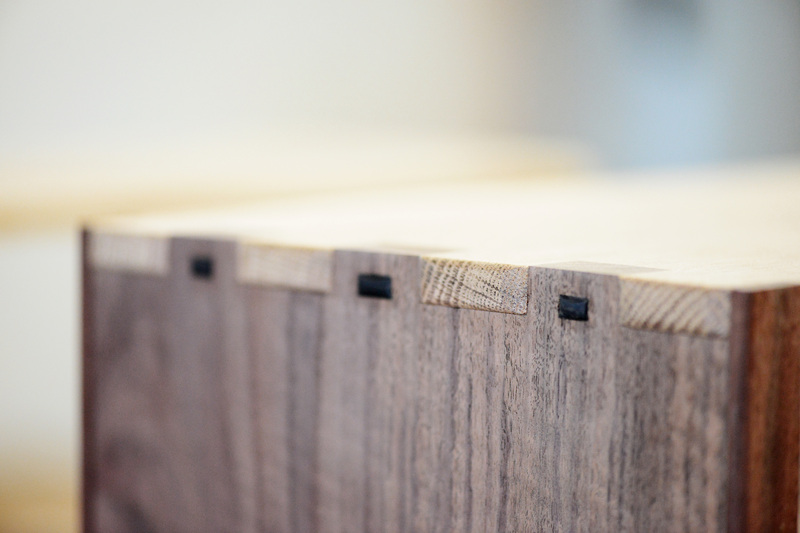 This entry was posted in All Posts, Studio Series and tagged custom furniture in Somerville, furniture maker, Paula Garbarino, Somerville furniture maker, Somerville Open Studios. Bookmark the permalink.